12 carat oval emerald cut and diamond halo ring. This rare and captivating emerald and diamond ring has much to offer. The center stone is oval cut, deep green and weighs appx. 12 carats. The center emerald is surrounded by over 2.5 carats of blinding white round brilliant diamonds that are a perfect match to the rich green hue of the center stone. 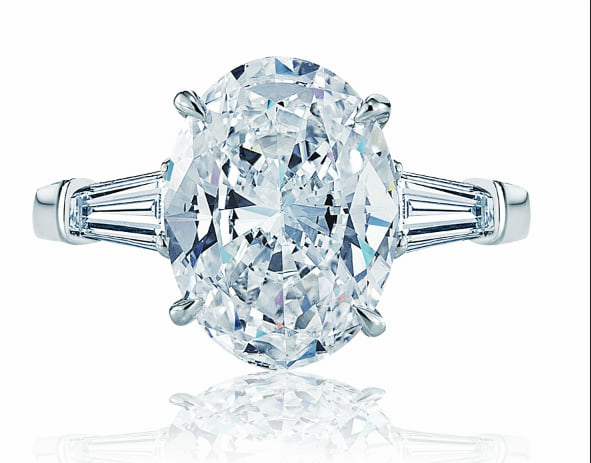 The ring is cast in platinum and a great match for the someone looking to expand their jewelry horizons to one of the most sought after stones in the world. Rings like this and many other can be found at our Newport Beach Showroom located west of Costa Mesa and north of Laguna Beach and Corona Del Mar.